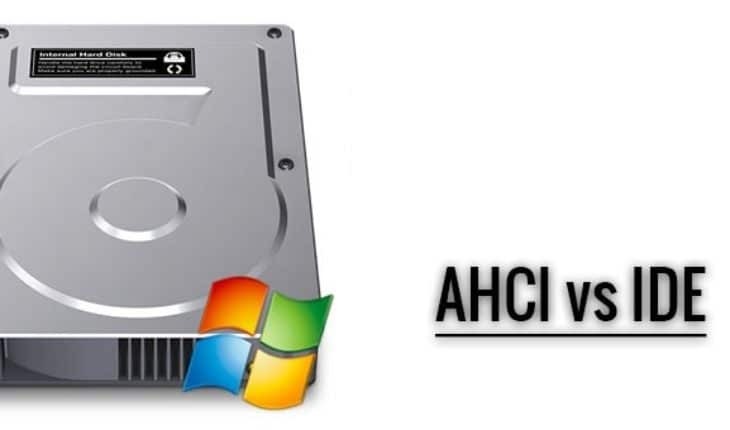 How to enable AHCI without reinstalling Windows Xp? Original Windows Xp didn’t have any driver for AHCI. That’s why a lot of users just turns off AHCI (Advanced Host Controller Interface) and installs Windows with IDE (Integrated Drive Electronics) settings. If your motherboard supports AHCI you should use it. 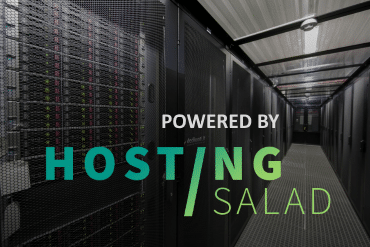 It supports new features like native command queuing and hot-plugging. Also you will gain some performance boost. Switching to AHCI without reinstalling takes only few minutes. Make sure you enable system restore option for partition where Windows is installed. We recommend to make data backup before attempting this method. First, make sure you have system restore enabled (Open “Control Panel” then “System” and “System Restore“). In case you made mistake so you can restore settings. Download and extract “Intel Matrix Storage Manager” drivers. Drivers were picked from Intel. Open “Control Panel” then “System” and “Hardware“. Then open “Device Manager“. Expand “IDE ATA/ATAPI controllers” category. Right click “Primary IDE Channel” (there could be multiple entries, select first one) and click “Update driver“. Select “No, not this time“, then “Install from a list or specific location (Advanced)“. On next dialog select “Don’t search. I will choose the driver to install” and click “Have a disk“. Now click on “Browse” and select the directory where the downloaded driver is extracted. You will see a lot of drivers, but you will have to select the right one (refer your motherboard manual if you don’t know what controller you have). After selecting the driver click “Next” and confirm installation by clicking “Continue anyway“. When installation is finished, reboot your computer. Go to system BIOS (usually tapping F2, delete or F10) during the computer startup. In BIOS change hard disk controller from”IDE” to “AHCI” (if you don’t know how refer your motherboard manual). Save the changes and reboot again. Let it load normally. If everything is good your Windows will load and you will get installing driver message. It will ask to reboot again. If face blue screen of death or computer restarts itself, switch back to “IDE” setting in BIOS. Also keep taping F8 before Windows start. On the startup menu select “Last Known Good Configuration”. Now you can repeat the steps and make sure to select right driver. That’s it. You have successfully enabled AHCI without reinstalling Windows Xp. Thank you great explaination very well presented page. Easy to follow. I just updated my intel tappen 945gtp with AHCI after reading your blog. Thank you for the download of the universal driver. Everything seems to be working great. One thing though I first picked the AHCI.inf file to load drivers from your download and it blue screened. So I tried the iastor.inf file and it worked straight away after rebooting and F2 to configure AHCI in bios. System then messaged software needed to reboot for hardware to run correctly after loading XP pro 32bit. I had no trouble with my DVD burning rom as it is on an IDE connector on the secondary channel . All my Sata ports are the same colour so I dont have the emulator port I guess for cd /dvd drives that gigabyte boards have. I dont know how to approach this optical drive problem if I ever have to get a Sata DVD probably better with a new second or third hand etc pc or motherboard with the emulator (IDE) sata port I’m assuming. I’d Probably need to identify a Sata port as IDE in BIos. So I need another bios upgrade allowing me to identify and configure each Sata port individually. But I got curious about this subject AHCI and spent a couple of minutes researching on the internet with my mobile phone after seeing AHCI again when I updated my bios to 2010 file (2009) yesterday. Don’t intel make a big song and dance out of this subject AHCI saying to make floppies etc. And only with a fresh install. I thought before I started I’d just need to load a driver as I always do with XP. Thank you again now I know what AHCI selection meant in my bios screen. When I Loaded The inf file I selected the ICHR7R/DH controller to load as ICH7R Sata controller was the only descriptor given in my downloaded Intel945gtp manual. My Pc was bought used for a hundred plus dollars 3 years ago and runs with salvaged unmatched drives of different capscitiese and second hand 3gig ram module one of the ram slots has broken pins. Pc Still works. Its hooked up to a Led TV by way of A second hand Nvidia 9300gt card. I used it mostly for flight sim games , FA 18 korea , FA18 Korea demo gold is good and Falcon AF. Mech Warriors 2 and printing.